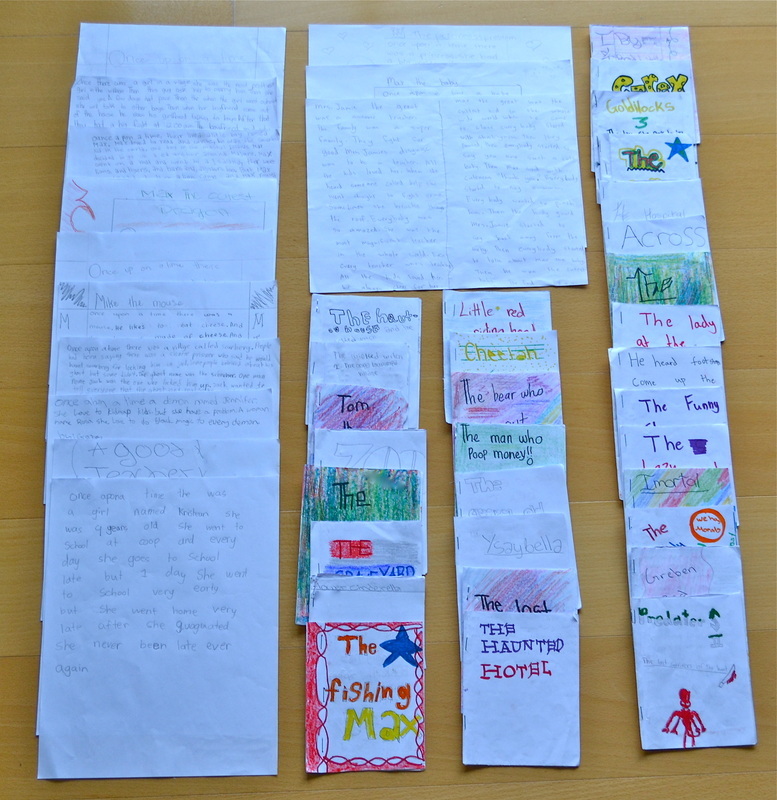 Display of short stories from Marshallese fourth graders. The process of learning to write, besides applying the building blocks of grammar, semantics, vocabulary, and so forth, includes giving oneself the permission to create a story. These kids hardly needed the permission: they just needed paper, colored pencils, and time.